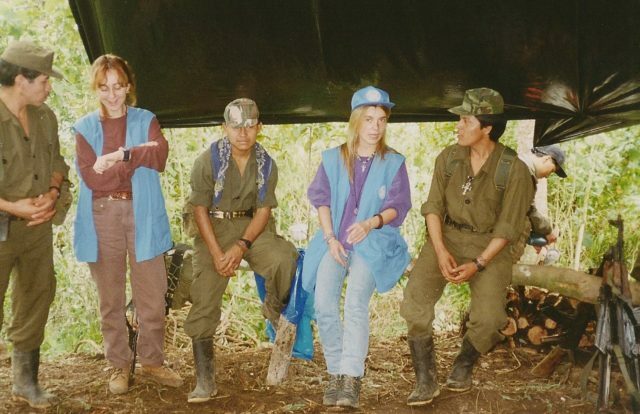 My training experience ranges back to 1995, when part of my tasks as UN human rights verification officer in a peace keeping mission (MINUGA) in Guatemala was, to hold trainings for the guerrilla, the military and civil society organizations on the contents of the peace accords, especially on indigenous peoples rights. Since then, I have held innumerous trainings and workshops, as well as workshop facilitations, in the field of gender equality, human rights and diversity for multiple audiences (donor agencies, INGOs, local partner organizations, ministries, etc.). Additionally, I hold trainings on project cycle management, monitoring and evaluation, establishment of indicators, implementation of the human rights-based approach and women-peace-security topics. My further trainings contain a „Training of Trainers on Gender Equity and Diversity“of CARE International. Methodologically I am focusing on an intense preparation phase of the workshops, tailored to the specific needs of the client. I am using highly participatory methods, like to have some fun with the audience, and to apply the practical exercises directly to the working reality of the participants in order to enable them to apply the contents of the trainings easily. I also develop training materials and guidance notes on the application of approaches,. (I)NGOs: Gender und Diversity Trainings – CARE (Arrica, Asia, Europe), Aga Khan Foundation (Portugal), SOS-Kinder Dorf (Vienna), WAGGGS – World Association of Girl Guides and Girl Scouts (Copenhagen), WIDE – Austria , Volkshilfe – Serbien, Albanien, Kosovo, …. Program Cycle Management – Inclusion of Gender and Diversity – ……. Bilaterale und Multilateral Donors: ADA Kooperationsbüros in Moldau, Kosovo; ILO in Slovakia, …..
Training Manuals: Engaging Men for Gender Equality (CARE GED series 501), Field Guide for Participatory Development of Psycho-Social Wellbeing Indicators (for IOM South Sudan, December 2017), …..